This content uses referral links. Read our Disclosure Policy for more information. If you are going to sign up for a chocolate of the month club, you want luxurious chocolates that you cannot find locally. You do not care so much about the exotic ingredients; instead, you want handcrafted, high quality chocolates and gifts from around the globe. Most of these vendors acquire chocolates from Belgium, Switzerland, France and even South America. They are refined, elegant and certainly worth every single penny. If you have been craving rich, luxurious chocolate assortments, the Three Moon Haut Chocolat Club from Vosges is the perfect selection. This club is all about fine ingredients, exotic recipes and of course, a unique twist. 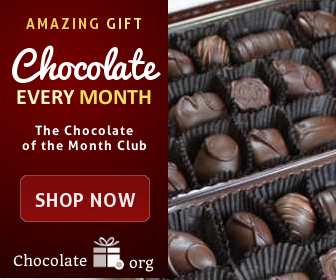 Members get some perks for the higher price of this club – including being able to pick which months and chocolate varieties they wish to receive. All of their chocolates are handcrafted and they receive their chocolate bark from makers in France, Belgium and Switzerland. Vosges is not the highest priced luxury chocolate club, but their high-quality chocolates do not come cheap. Members can expect to pay $139 for their three month club with free shipping. Vosges sold out? While amazing, their club does sell out of spots rather quickly. 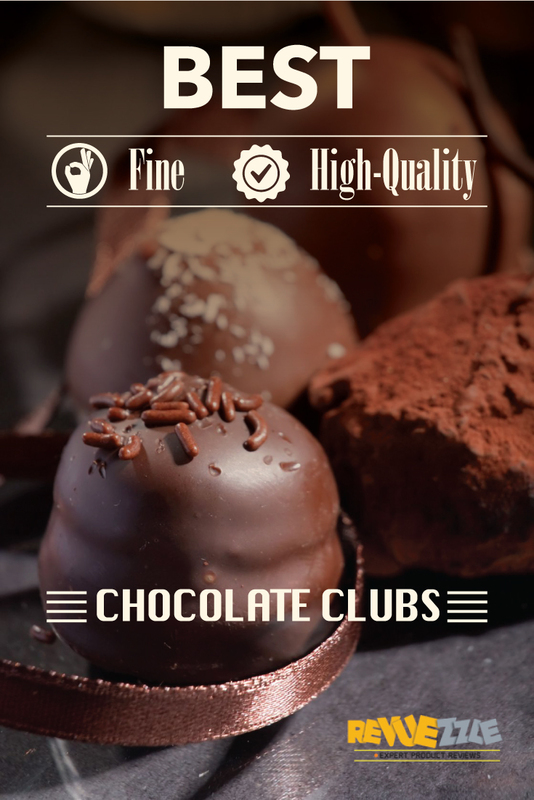 But, the good news is any of these other fine quality chocolate clubs listed below can do the trick too! Visit Vosges - Get This Club! If you want to indulge in the ultimate luxury assortment of chocolates, the Luxury Chocolate Gift Assortments from Chocolate.org is here to help. They are one of the few clubs that offer more than one pound – and only as part of their luxury collection. Just some of the chocolates they acquire for this membership include dark chocolate truffles, milk chocolate assortments, deluxe truffles and even tiered box sets for gift giving. The Luxury Chocolate Gift Assortments ranges from 1 to 2 pounds per shipment – the only club out there with so much chocolate in one shipping session. The price is $80 per shipment with a minimum of six months for a total of $480. Shipping is free. Looking for something in between basic and luxury? Chocolate.org offers their Superior Chocolate Collection also for $45 per shipment and includes premium truffle assortments, signature chocolates and even nuts and chews. Save 10% with this Coupon. Visit Chocolate.org - Get This Club! Harry & David are one of the more well-known monthly club options, but what many people may not realize is they have a chocolate club to go along with their delightful cheese and fruit clubs too. The chocolates included in their Three Month Club are some of the finest, gourmet chocolates you will find in a subscription service. While they don’t offer anything exotic or off-the-wall, that does not mean they don’t have luxury collections. Their membership even comes complete with truffles, made from some of the finest chocolatiers in the world. As with all Harry & David products, their Chocolate Club features non-GMO and real chocolate products. The Three Month Club from Harry & David starts at $99.99 and then $6.99 per shipment – equaling $120.96 for the three month subscription. Want more to enjoy? You are not just limited to the three month membership. In fact, you can choose from three, six and 12-month contracts to get as much chocolate as you want from Harry & David. Save 15% with Coupon. Visit Harry & David - Get This Club! Enjoy some of the world’s finest chocolates and ingredients when you join the Truffle of the Month Club from Intrigue Chocolate Co. Their selection is limited to just truffles, but some of the finest quality truffles you will ever find. They are made by world-class chocolatiers and their ganache is served up in its most natural form – with as little sugar as possible. The result is a superior truffle that is so rich and decadent you cannot believe you have never had something so wonderful. Intrigue Chocolate Co.’s Truffle of the Month Club comes in two options: six and 12 month. The six month option is $264 for six months with free shipping and the 12-month contract is $528 for 12 shipments with free shipping and handling. Have you ever wished you could share? The Truffle of the Month Club includes 24 truffles, but packaged in two 12-count boxes. They are gift wrapped so that you can automatically hand over one of your shipments to a friend. Visit Intrigue - Get This Club! Fannie May is a well-known chocolate brand. They have been around since 1920 – and since their start, they have always focused on high-quality chocolates. To this day, Fannie May is still known for their Pixies, which are decadent and delicious. All of their chocolates are selected based on quality and the in-house chocolatiers for Fannie May are some of the most talented in the country. Their products have become more commercialized, but Fannie May fans still to this date say they are some of the finest products on the market. The Chocolate Lovers Club by Fannie May spans over five delicious shipments for $19.99 per shipment and $16.98 shipping for a total of $36.97 per shipment. Want to know what you will receive? Fannie May already lists their pre-arranged chocolate shipments, which include colonial chocolate assortments, pixies and even Easter cream eggs. Visit Fannie May - Get This Club!